Does there really need to be an introduction about Target? Doesn’t the name and red bullseye logo speak for itself? By now you have hopefully seen my favorites pop up on the blog from World Market and Anthropologie but, now is the time you get to take a peek at my *right now* favorites (because it’s ever-changing, isn’t it?!) from Target. Typically I show you glasses from each store that I’m crushing on, but this time I went a bit further and chose some serving pieces that I thought would be good for entertaining (I’ve said it before: ‘tis the season!). Target is amazing at stocking the essentials. Moved into a new house and need some glasses? Target’s got you covered! If you’re looking for something just a tad off the beaten path, these would be so cute, a curated soft cocktail like this one would look great in this glass, or a plain La Croix with some lemon. These may have champagne glasses written all over them but would be perfect for this drink right here! Aren’t these the cutest things ever? They come in multiple colors and would be super festive at any event. I would like six please! Recipes like this one are great for batching, which just means that you can make a entire mixtures of a soft cocktail and put it in a pitcher or canister like this one so no one has to stand and mix drinks all night! This is the best beginners set for mixing cocktails with an amazing price tag. Do yourself a favor and get yourself one! There really does not need to be an explanation on why this bottle opener is on this blog post. If you ask me (and you probably should) this would be a perfect stocking stuffer! 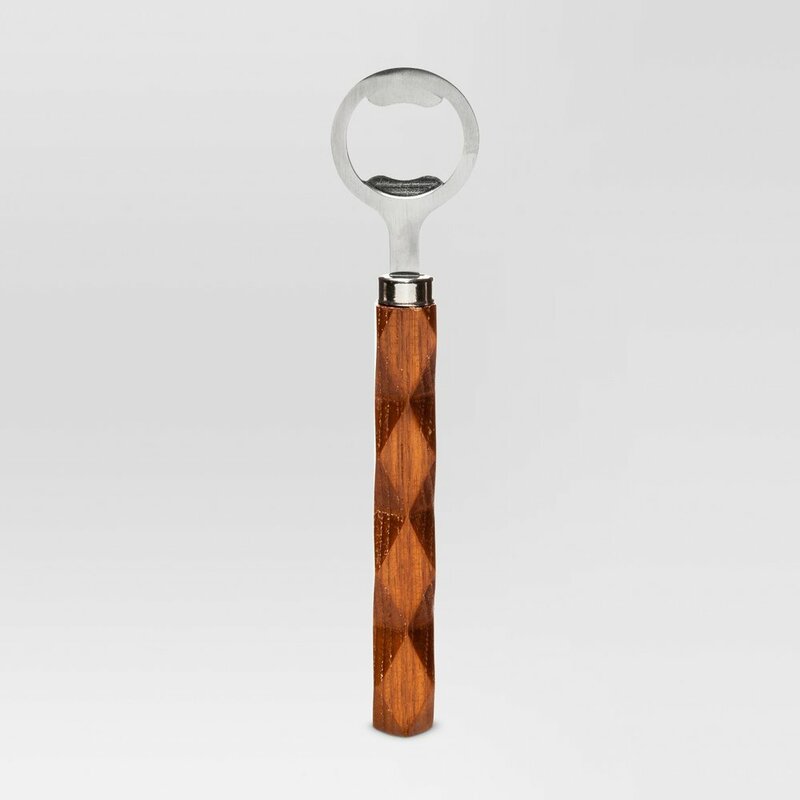 Non alcoholic drinks need bottle openers sometimes too--not just beer! Would you let me know if you bought any of these or are loving on them too? Drop a comment below!